Cell-cultured proteins. Lab meats. Fake meats. Petri-dish patties. Whatever you want to call them — they are a hot topic of discussions these days. Developed in "meat breweries" and proclaimed to be safer, cleaner, more sustainable and raised without antibiotics, death or a guilty conscience, the debate about cell-cultured proteins and how they will be required to be labeled, inspected and regulated is ongoing. On that end, the USDA's Food Safety Inspection Service and the Food and Drug Administration have agreed to cooperate in the joint oversight of lab meats. Per the agreement, which was released on March 7, 2019, the FDA will conduct premarket consultations and oversee the initial cell collection and all "pre-harvest activities." Meanwhile, USDA will oversee the inspection of all facilities that harvest, process, package or label cell-cultured proteins derived from the cells of livestock and poultry. All product labels will also be subject to USDA's pre-approval and verification process and would receive the same familiar purple inspection stamp typically reserved for traditionally raised meat products. Kenny Graner, United States Cattlemen's Association, expressed concerns about the regulatory framework of this joint agreement. "We are encouraged by USDA and FDA preemptively formalizing a joint regulatory framework prior to the commercialization of these products," said Kenny Graner, United States Cattlemen's Association president, "Further, we're pleased with language in the formal agreement that will allow USDA FSIS pre-market labeling authority." Graner added, "However, we'd like to reiterate our position that the term 'meat,' and more specifically 'beef,' refers to products derived exclusively from the flesh of a bovine animal harvested in the traditional manner. Under the formal agreement, it appears that USDA FSIS will issue the USDA meat inspection stamp to be used on these products. USCA is strongly opposed to the utilization of any of the three purple-inked USDA meat inspection stamps for cell-cultured product. A new stamp should be created for cell-cultured products that is inspected by USDA and by state inspection agencies, using a different format and color ink on the stamp. 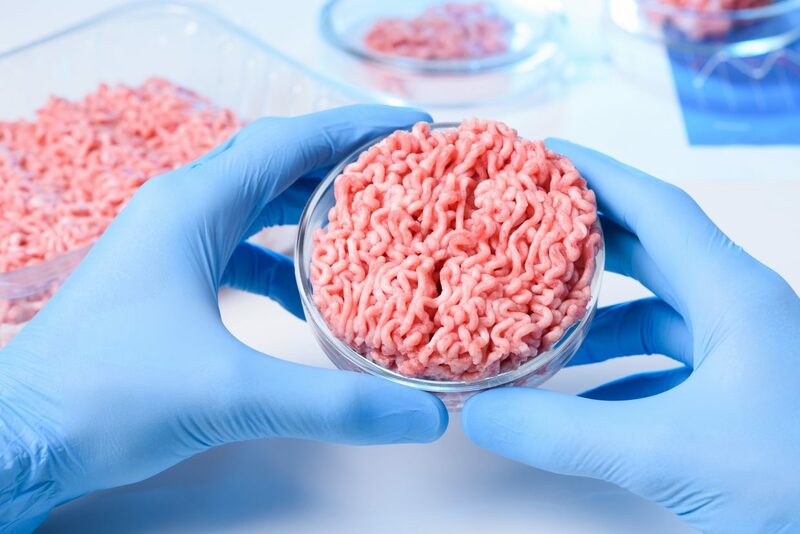 Neither the federal or state meat inspection stamps should appear on the cell-cultured protein products, retail packaging or wholesale containers." 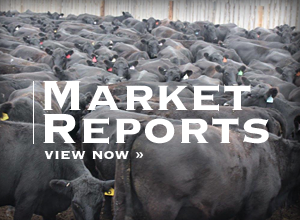 The National Cattlemen's Beef Association has also expressed concerns with the products themselves as they get closer to entering the marketplace. "We look forward to working collaboratively with the USDA and FDA on next steps, including the development of a more detailed framework concerning the cell harvest stage," said Jennifer Houston, NCBA president. "Ensuring that all lab-grown fake meat products are safe and accurately labeled remains NCBA's top priority." The NCBA is calling for more clarity regarding how antibiotics are used in lab-grown fake meat production. The organization is also concerned about the food safety risks, noting that FDA's premarket consultants to evaluate production processes are lacking in detail. NCBA also wants manufacturers to provide evidence to justify their claims of equivalence to real beef. And they would like manufacturers to provide samples for independent scientists to provide objective analysis of cell-cultured proteins. And despite consumer and producer demands to know more about how these products are manufactured, so far, investors of cell-cultured proteins have been pretty tightlipped about their proprietary production practices. However, the USCA has worked hard to glean as much information as possible about the process. The organization recently put together a graphic to bring transparency to how manufacturers are developing these cell-cultured protein patties. According to USCA, the first step is to collect cells. "Fetal Bovine Serum, or blood drawn from a calf fetus, is the most popular means of cell collection," USCA said. "The calf fetus is removed during eveisceration and blood is extracted via cardiac puncture without anesthesia." Next comes the proliferation of cells. "The cells marinate in a growth medium composed of hormones, cytokins, signaling molecules, gases, sugars, fats, minerals, amino acids and vitamins." Third, is providing a structure for growth. "The cells need something to grow on. In live animals, this is a skeleton. In cell-cultured foods, these are called 'scaffolds.' Cells can also be grown in bioreactors, but must be stretched to mimic muscle movements." Finally, comes the harvest stage. "Once the cells are removed from their structure, they are non-viable. This is a trouble spot. The scientific understanding of post-harvest activities is severely limited. Contamination occurs most frequently at this point." With so much uncertainty about these products, several states have taken legislative action to ensure the integrity of traditionally raised meat products and to provide transparency in food labels. Missouri was the first state to address this issue. Last year, the state defined "meat" as any product derived from a livestock or poultry carcass. The law is currently being challenged in federal court, with opponents arguing for constitutional rights to label and promote their alternative products as they see fit. "This legislation doesn't change the definition of meat. 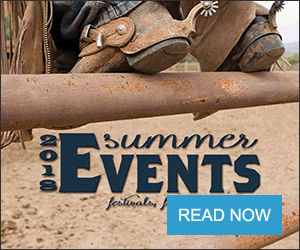 It simply requires marketing with integrity," said Missouri Cattlemen's Association Executive Vice President Mike Deering. "You can't sell a Subaru as a Corvette. You shouldn't be able to sell a product manufactured in a laboratory as something grown by farm and ranch families." Missouri's law prompted additional states to follow suit during the 2019 legislative session, with many trying to prevent both cell-cultured proteins and plant-based patties from being labeled as meat. Currently, Montana, Wyoming, South Dakota, North Dakota, Mississippi, Kentucky and Arkansas have passed legislation, while bills in Georgia, Oklahoma and Nebraska are still being considered. According to Montana's Real Meat Act, which was sponsored by Republican Alan Redfield and passed by the legislature as of April 1, "'Cell-cultured edible product' means the concept of meat, including but not limited to muscle cells, fat cells, connective tissue, blood, and other components produced via cell culture, rather than from a whole slaughtered animal. A cell-cultured edible product derived from meat muscle cells, fat cells, connective tissue, blood or other meat components must contain labeling indicating it is derived from those cells, tissues, blood or components." Now the big question remains, will consumers bite? According to survey results from Health Focus Data, 17% of U.S. consumers currently eat a predominantly plant-based diet with 60% saying they want to reduce their consumption of meat-based products, as well. One-third of those polled said they were willing to try the products. The timing for entry into the U.S. marketplace is still unclear, with early estimates of these products hitting grocery store shelves by the end of 2019 or early 2020. However, China may get the first taste of lab meats well before the American consumer does. Brad Jones for Futurism writes, "China has signed a trade agreement with Israel worth $300 million that will see the country import lab-grown meats produced by three companies: SuperMeat, Future Meat Technologies and Meat the Future. This move is part of China's ongoing effort to address its most pressing environmental problems. Last year, the Chinese government announced plans to encourage citizens to eat less meat, in an effort to reduce the country's consumption by 50%. As it stands, around $13.5 billion worth of meat is imported into the country every year." Ranchers will continue to fight to protect the integrity of real beef products while pushing for safety, transparency and clarity in these new emerging proteins, but it's going to be a battle. In the meantime, the industry will await more answers from these companies and hope the USDA and FDA follow through on the joint regulatory framework that will oversee these products as they hit the marketplace. Just as the debate over cell-cultured proteins really heats up, plant-based patties continue to gain traction and popularity in the marketplace. There's Sonic's "Slinger," a burger patty made with 30% mushrooms. The Beyond Burger, a patty made from gluten-free, pea protein and colored with beet juice, is available at grocery stores nationwide. And then there's the Impossible Burger, a wheat-based patty enriched with heme to mimic the meaty flavor, aroma and cooking properties of animal meat. According to Impossible's website, eating one of their Impossible Burgers allows consumers to eat meat and save the Earth. The company says, "Using animals to make meat is a prehistoric and destructive technology. Animal agriculture occupies almost half the land on earth, consumes a quarter of our freshwater and destroys our ecosystems. So we're doing something about it: we're making meat using plants, so that we never have to use animals again. That way, we can eat all the meat we want, for as long as we want. And save the best planet in the known universe." 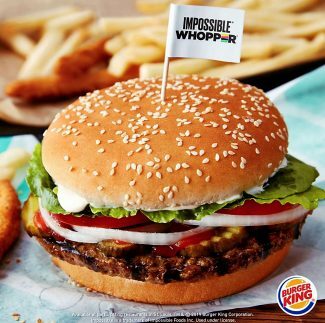 In March, the Impossible Burger was introduced as the newest item on Burger King's menu. With 18,000 stores located in 100 countries, the new vegan menu item is being tested at 59 locations around St. Louis, Mo. This isn't Burger King's first introduction to vegan menu items. It also offers a veggie patty made by MorningStar Farms. However, unlike the veggie burger, Burger King is marketing its newest menu item as an exact replica of the original Whopper. A video advertisement shows life-long Whopper lovers shocked and surprised to learn they're beloved burger was switched with the Impossible Whopper, made entirely of plants. And according to Chase Purdy for Quartz, "These plant-based, high-tech burgers aren't just meant to appease vegetarians. Rather, they are intended to reach an omnivorous general public interested in 'alternative proteins.' Yes, that's the language massive food companies use to talk about this subject, and Burger King isn't the first restaurant chain to embrace it." ABC News compares the Whopper to the new Impossible Whopper. The news outlet reports, "The Impossible Whopper is healthier on some counts but not on others. It's 630 calories, compared to 660 calories for a meat-based Whopper. It's lower in saturated fat, trans fat and cholesterol. But it's higher in sodium and carbohydrates. The burgers have about the same amount of protein." Burger King joins White Castle in serving the Impossible Burger. Meanwhile, TGIFridays serves the Beyond Burger, and an online petition with 63,000-plus signatures is urging McDonald's to bring vegan burgers to its 14,000 U.S. locations. Certainly, the plant-based trend appears to be moving forward full-steam ahead; however, despite its promises to be more ethical, humane, environmentally friendly and the perfect substitute to beef, the Impossible Burger is not as perfect as claimed. In March, Impossible made headlines when it issued a voluntary recall after a California restaurant found a piece of plastic in a bulk Impossible Burger product. Of the Impossible Burger's ingredients, which include water, textured wheat protein, coconut oil, potato protein, natural flavors, soy, yeast extract, salt, soy protein isolate, knojac gum, anthem gun, vitamins, zinc and heme, plastic is not listed. According to Eater, "Although the FDA has not mandated the recall for any food safety reason, Impossible Foods has ordered the recovery of the lot produced on Feb. 19, 2019 'out of an abundance of caution,'" according to a spokesperson. "It's the first time the company behind the 'bleeding' Impossible Burger has issued a recall of its restaurant-quality fake meat."